The FBI agent was charged after telling investigators he did not fire the shots that missed Robert "LaVoy" Finicum, who was killed by state police. PORTLAND, Ore. — A jury found an FBI agent not guilty Friday of obstructing an investigation into who fired two errant shots at a key figure in a group that seized an Oregon wildlife refuge in 2016. Astarita was charged with making false statements and obstruction of justice after telling investigators he did not fire the shots that missed Robert "LaVoy" Finicum. "We are grateful to the men and women of the jury who saw through a case that should have never been brought," the lawyers said in a joint statement. "Joe Astarita is innocent and it was our privilege and honor to represent him." Earlier this year, charges stemming the Bundys' armed standoff with government agents in Nevada were dropped. "Our system of justice relies on the absolute integrity of law enforcement officials at all levels of government," he said. Police stopped the vehicles, and several people surrendered, including Ammon Bundy. But Finicum fled at more than 70 mph with Bundy's brother Ryan and several others, authorities say. 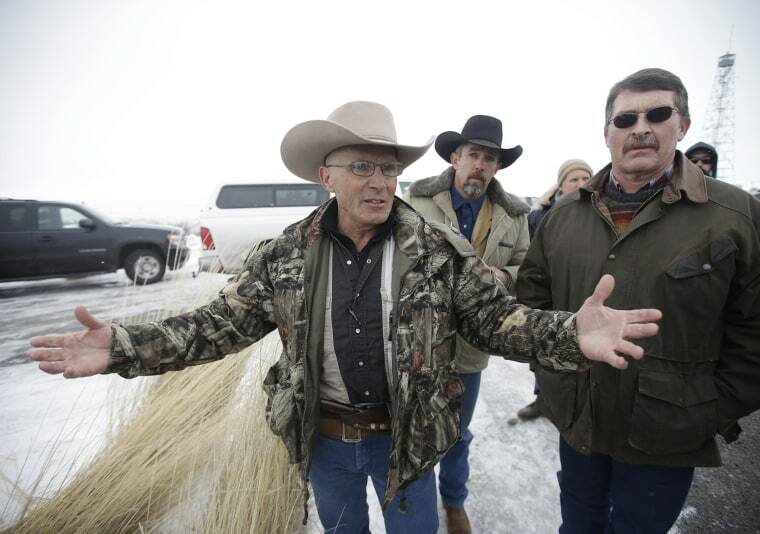 The two disputed gunshots rang out as Finicum emerged from his pickup and yelled, "Go ahead and shoot me!"